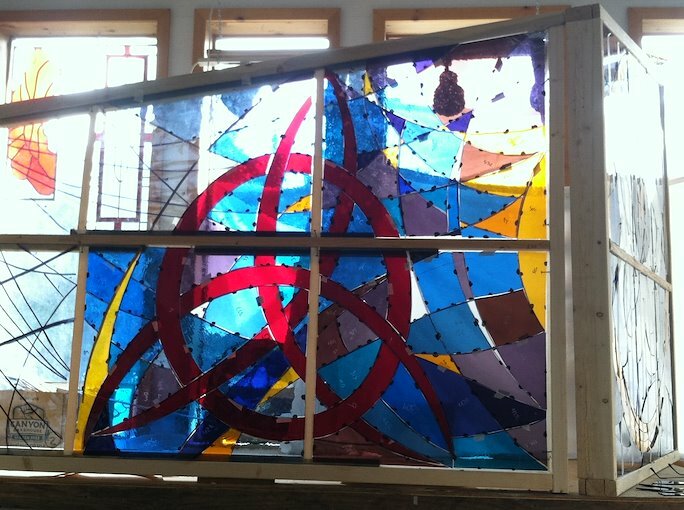 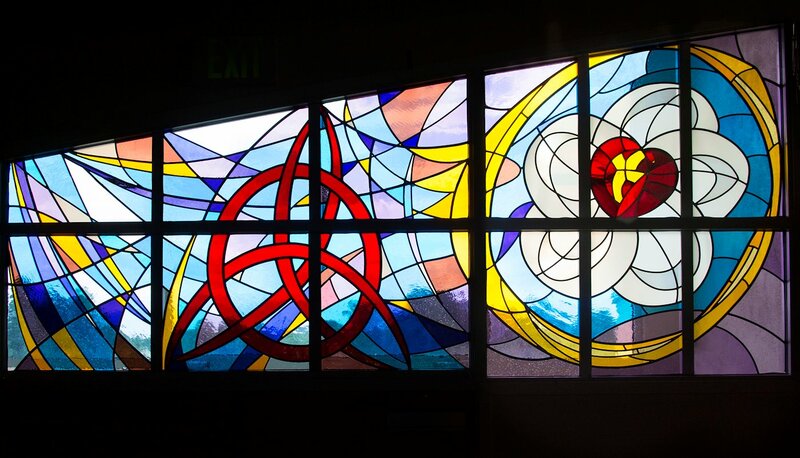 While I work on the Artesia Public Library, I have been commissioned to design and create this transom wall of glass for Bethlehem Lutheran Church, Los Alamos, N.M. 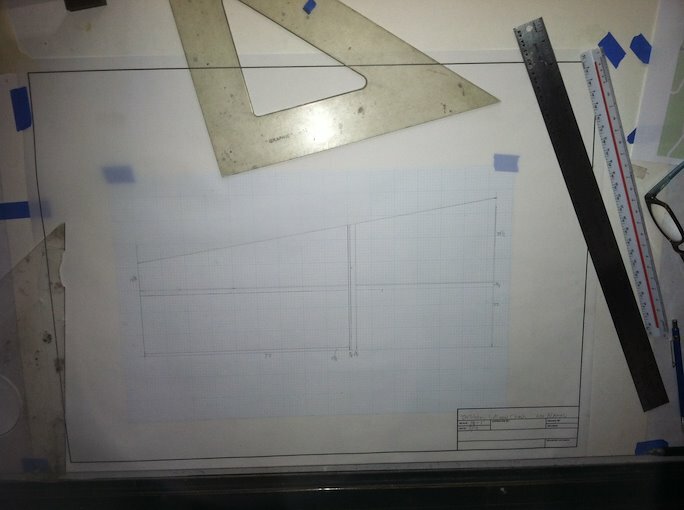 Here I am on site, measuring the windows, next picture is the beginning of the creative process, small scale sketch waiting for design! 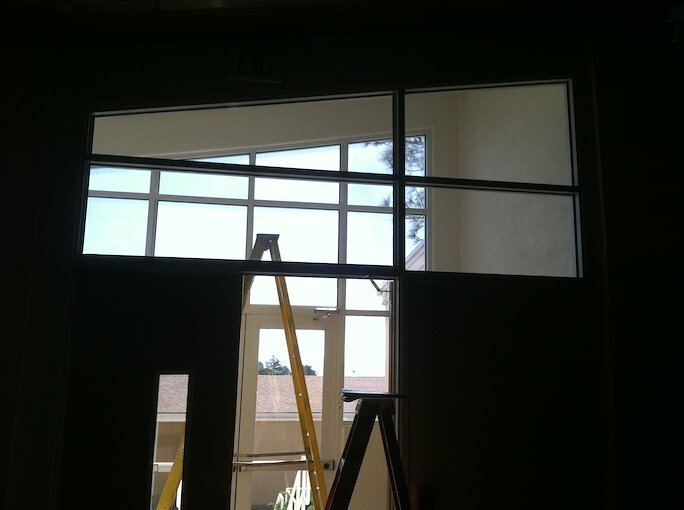 Once the design was finalized and approved, the glass was selected and the cutting begins. 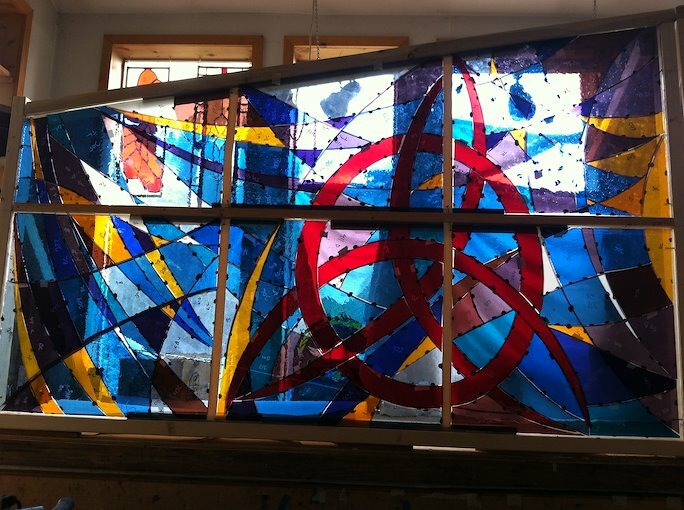 I wax the cut pieces as the project progresses to visualize color connections. 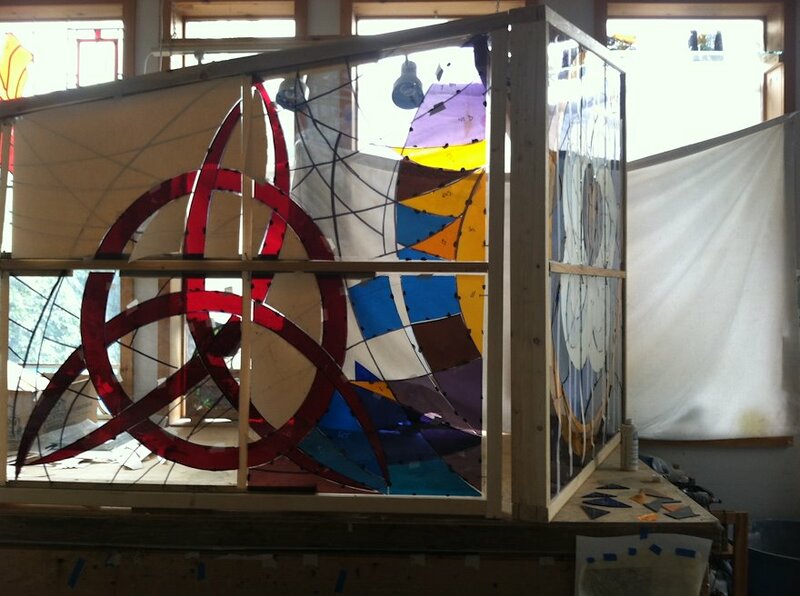 These photos show the window coming to life. 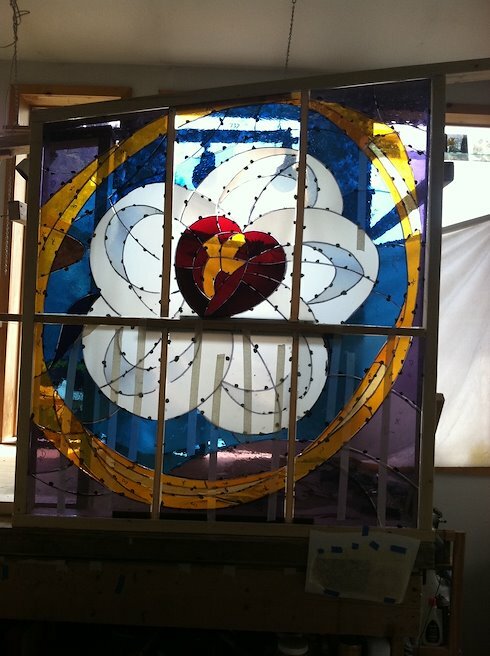 The final picture of the window installed.